Piquantpurls: Simon Says: Happy Birthday! The Simon Says Wednesday challenge blog calls for a Happy birthday -card. I went for the masculine-type from kraft-cardstock, and the funny Clearly Besotted Stamps "Super Dad" -dies. 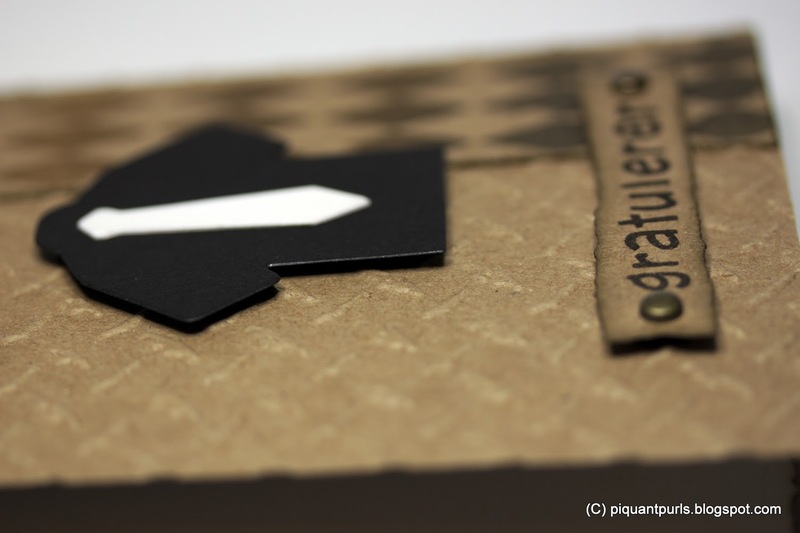 The cardstock is embossed with the Diamond Plate - Sizzix embossing folder. The strip on the side is made through the Harlequin Layering Stencil and Vintage Photo, Walnut Stain and Black Soot -inks with the new mini ink blending tools. I really love those! Much easier to do smaller areas. 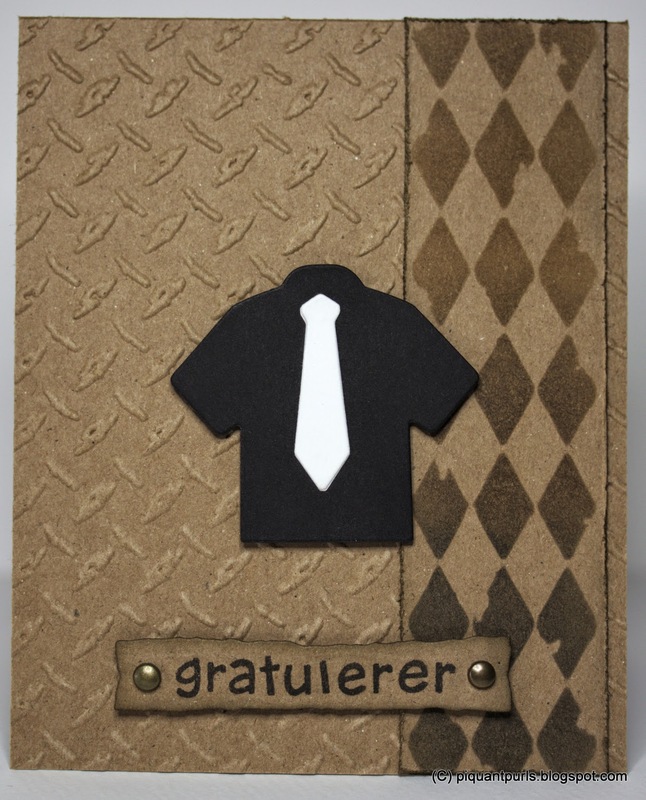 I diecut the shirt from black cardstock and the tie from white, and raised them up with 3d-foam squares. The congratulations-text is stamped with and old stamp set from Lawn Fawn: Harold's ABCs and lifted up with some 3d-foam squares. I love your masculine birthday card! Thanks so much for playing along with us at the Simon Says Stamp Wednesday challenge!